FIRST ON TKNN: CNN founder Ted Turner will not appear on the network’s thirty-fifth anniversary special, Breaking News: 35 Years of CNN. The absence was confirmed by a CNN spokeswoman. The special will look at the top thirty-five events over CNN’s history and go in depth on six of them. Those stories include the Baby Jessica, Gulf War, and 9/11. 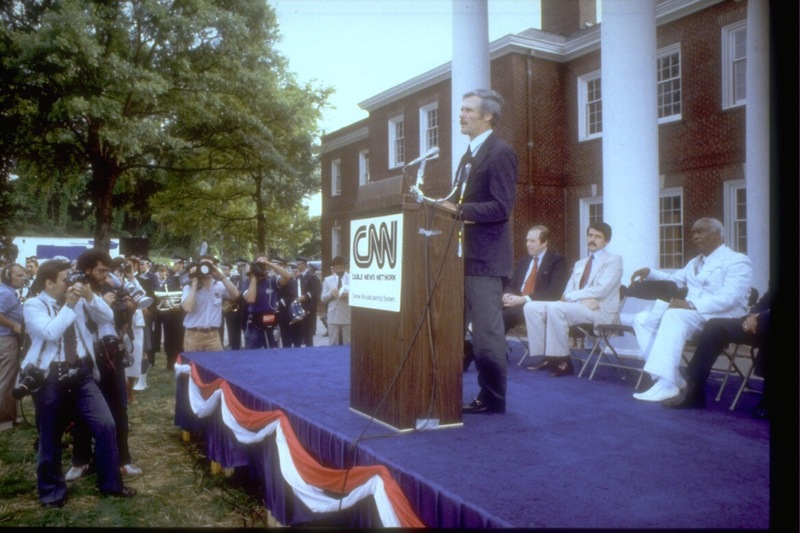 For those three events, Ted Turner was still at CNN. Books about the early years of CNN indicate that Turner was very active with programming decisions. Most of the personalities interviewed for the special are anchors or corespondents, but former CNN executive Bob Furnad was interviewed about the Baby Jessica rescue. TKNN reached out to a spokesman for Ted Turner for comment, but has not heard back. We will update if we hear a comment.